Ada pertanyaan untuk Hera Boutique Hotel? Terletak strategis di Bergama, Hera Boutique Hotel adalah tempat yang luar biasa untuk menelusuri kota yang aktif ini. Pusat kota terletak hanya sekitar 0.3 km dan bandara dapat ditempuh dalam waktu 80 menit. Sebagai sebuah tempat untuk beristirahat dan bersantai, hotel ini terletak hanya beberapa langkah dari berbagai obyek wisata kota ini seperti Mavi Dukkan, Sen Naoe Hand Woven Textiles, Haci Hekim Hamami. Hera Boutique Hotel menawarkan pelayanan sempurna dan segala fasilitas penting untuk memanjakan para wisatawan. WiFi gratis di semua kamar, Wi-fi di tempat umum, kedai kopi, bar, salon hanyalah beberapa dari fasilitas yang membedakan Hera Boutique Hotel dengan hotel-hotel lain di kota ini. Hotel ini memiliki 10 kamar yang didesain dengan indah. Banyak kamar memiliki televisi layar datar, akses internet WiFi (gratis), kamar bebas asap rokok, AC, penghangat ruangan. Daftar lengkap fasilitas rekreasi tersedia di hotel termasuk taman. Ketika Anda mencari penginapan yang nyaman di Bergama, jadikanlah Hera Boutique Hotel rumah Anda ketika Anda berlibur. Tamu berusia 10 tahun ke atas dianggap sebagai tamu dewasa. Unique location and experience. Finding it was a challenge, so follow the signs. Super helpful and friendly owners - treat you like family. Would visit again!! 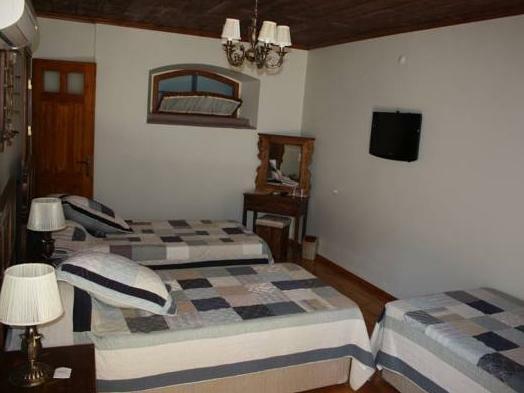 The Hotel is in a lovely renovated, furnished and decorated old building on the hillside of Bergama. 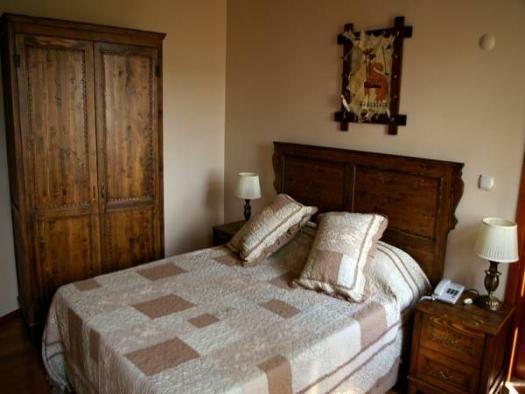 The location makes it quiet but allows for access to the town center after only few minutes walk. By car it would be a bit hard to find, but the owners put up signs all over the town, giving you good directions. The owners were increadibly hospiteable and took great care of us during our stay. The breakfast they served was nicely arranged and tasty. Alltogether, our stay there was very, very nice! We would always go back to Hera Hotel when we are in Bergama. Idyllic old property, renovated really nice! The verts couple were incredibly hospitable and we really felt at home. The food was very nice and fresh, and the hotel had a high standard. If you come to Bergama, then you will not regret your stay at Hera Hotel ! Very memorable stay with Iksander and his son Jim sharing conversation and laughs with us. Great stay! Wonderful place in the old part of town. The owner was great. No dinner but there is a beautiful restaurant a few blocks away that had a beautiful view. We walked to the cable car to get to the ruins. Great spot!!! Der Empfang war sehr freundlich und herzlich. Das sehr geschmackvoll eingerichtete ruhige Zimmer, entsprach allen Erwartungen. Das nagelenue und blitzsaubere Badezimmer wies alle erforderlichen Einrichtungen auf, war aber winzig klein. Auch die sonstigen Einrichtungen (Terrasse, Lobby etc. )lassen nichts zu wünschen übrig. Einzig das Frühstück, das nach türkischer Art recht bescheiden ausfiel, wäre verbesserungsbedürftig.